To celebrate this Academic Book Week we are pleased to release a report which sums up the learnings from a pilot project undertaken jointly by the Association of University Presses (AUPresses) and Altmetric. The aim of the project, which ran throughout 2017, was to understand how altmetrics could support the many functions of a university press: recruiting new monograph ideas and authors, marketing a press’s current publications and backlist, tracking sales, and more. The six participating university presses were given access to the Altmetric Explorer and in exchange the presses provided us with detailed metadata for their published monographs and journals, which we used to expand our coverage, and invaluable feedback on the usefulness of our data. • Altmetrics can help book publishers find interest in backlist titles, which can inform promotional strategies. 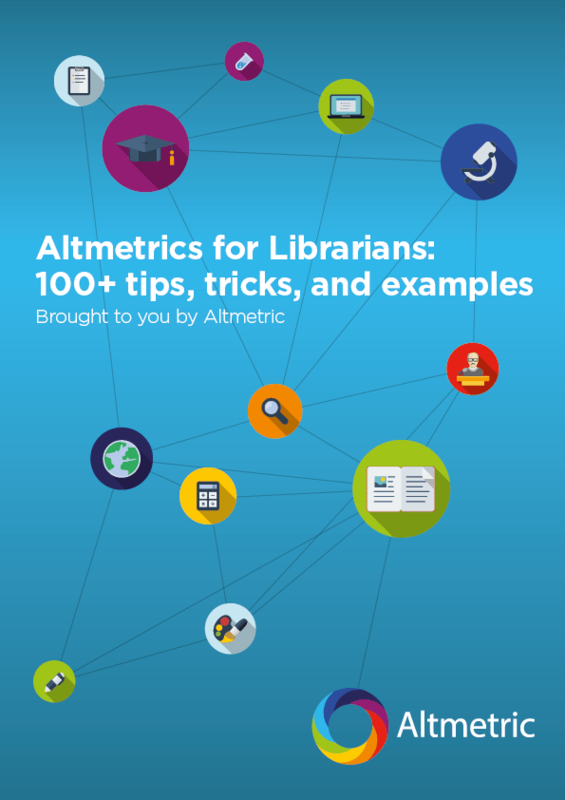 • Not all altmetrics are equally valuable to university presses. The most valuable data are: monographs mentioned in syllabi, citations in public policy documents and social media discussions. • Journals are well-positioned to take advantage of altmetrics as journals have faster publication times, when compared to monographs, and journal platforms are designed in a way that makes it relatively easy to track altmetrics. • Last, but definitely not least: Good metadata is critical, and in the final section of the paper we are proposing some best practices for sharing metadata in a press website. Read more in the full report here!